Liverpool boss Jurgen Klopp has revealed that he hopes to welcome centre-half Dejan Lovren back to the team after the international break. The Reds have made an impressive start to the new Premier League campaign, picking up back-to-back wins while scoring six goals and conceding none. In turn, with Klopp’s men finding the right balance between attack and defence, it appears as though the German tactician has the players at his disposal to continue to build momentum at the start of the season with Joe Gomez partnering Virgil van Dijk for the first two games and helping to keep those clean sheets. Nevertheless, given the experience, solidity and leadership that Lovren offers as well as coming off the back of reaching a World Cup final this summer, it will arguably be a boost for Liverpool to welcome the Croatian international back into the fold having been absent thus far due to injury. Klopp has suggested that he should have his defender back available for selection after the international break with the first game back against Tottenham on September 15. “[Dejan] is coming closer but he’s not really around team training in the moment,” he is quoted as saying by ESPN. “He will not be involved in that game [vs Brighton]. I’m pretty sure no chance for the Leicester [City] game and then, hopefully, after the international break, he will be ready to go. 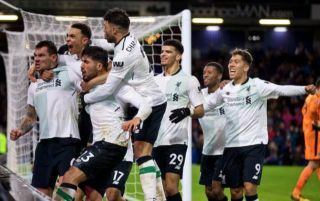 While the addition of key individuals such as Van Dijk and Alisson over the past eight months have certainly had a positive impact on Liverpool, the fact is that they are defending better as a unit and it provides good signs that they’re moving in the right direction.